You loved the Painted Flowers set, now you will have a Painted Butterflies set! 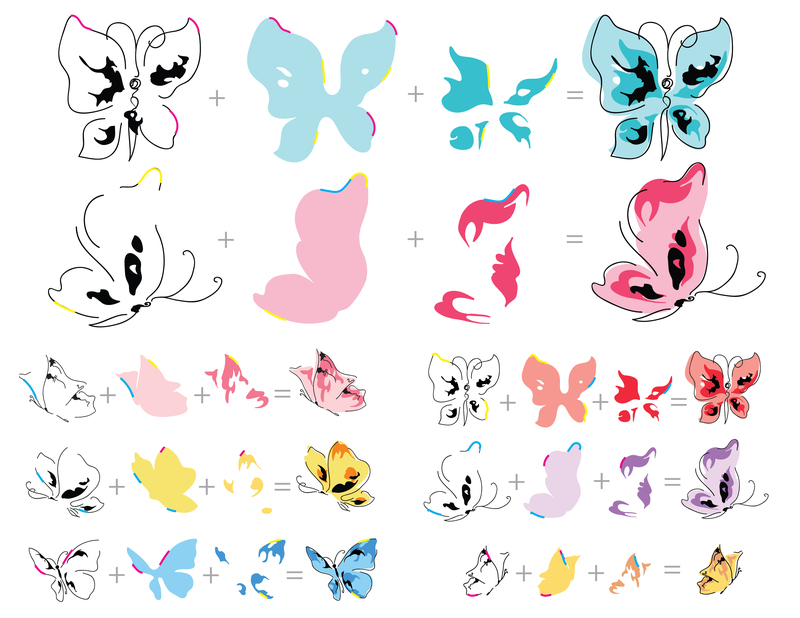 Created with a similar design style, these are three-step butterflies. They can be used as is, or combined with floral images. Either way, they will be the perfect addition to your projects! This is a 6" x 8" clear stamp set containing 29 individual stamps, manufactured in the US from high-quality photopolymer. Brightens every card I make! Painted butterflies is probably my most use stamp. I love how they look hand painted and they brighten every card front I've put them on. It can be used for so may occasions. I have made several varieties of cards using this stamp set. Thank you, sympathy, friendship, etc. It can be used for so may occasions.